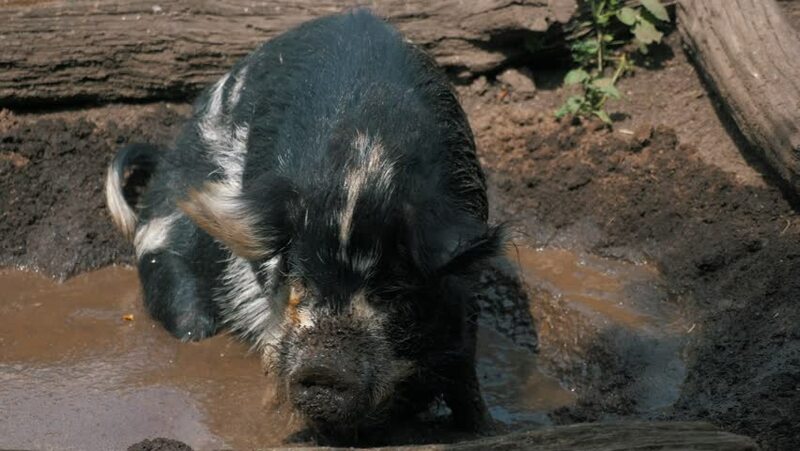 A happy black and white pig shaking off the mud that he is in. hd00:18Bear walking along edge of forest looking at gras and berries to eat. Black Bear, Ursula Americanus.